Polly Park lives on the side of Bristol’s historic harbour. She reckons she’s a Renaissance Woman who has it all: own house, a thriving business, a close family of friends, she doesn’t need a man – but, she’s not a nun. So when she meets Spike, the fact that he's emigrating to Australia in six months' time is not a problem - no commitment or messy endings. But she doesn't bank on falling in love, or on making a certain discovery after he's gone. Three years on, Polly is a single mum to her hard-of-hearing, gorgeous daughter Rowan. She starts dating single dad Max and may finally be ready to take a chance on love. Then, out of the blue, Spike returns with his glamorous girlfriend in tow, and suddenly Polly finds herself in the middle of a very sticky situation . . . Will Spike's return resurrect Polly's feelings for him? Where does that leave Max and Polly? And how will all this change effect Rowan? Nothing is simple - but then, that's the trouble with love . . . 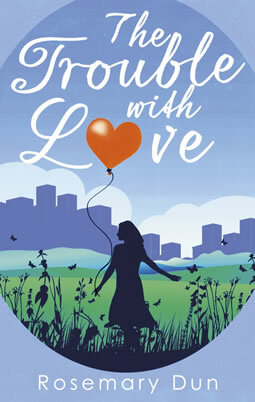 The Trouble with Love is a fresh and funny romantic comedy that explores both conventional and modern dilemmas in love. It will make you think and it will make you laugh. “Mamma Mia meets Jane Austen – with less singing”. “Polly and Spike are my favourite romantic couple for a very long time, and I loved immersing myself in their Bristol. It’s a feel-good book for Renaissance Women and Men everywhere.” Julie Cohen (a Richard & Judy Book Club author). Posted in Books and tagged books, The Trouble With Love.